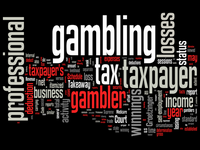 What Does It Take to Turn Gambling Losses in Taxation Benefits? Gambling Losses Benefits? 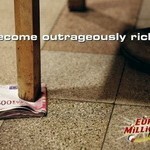 Yep, a Losing Ticket May Eventually Produce Some Financial Advantages! 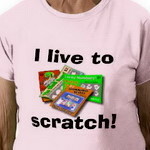 You’re an avid lottery player but you don’t seem to be gaining much? That’s ok, especially if you live in the UK. The country is a heaven for lottery lovers, even if they aren’t particularly lucky. Why is that so? Two words – tax deductions. Gambling losses in the UK are tax-deductible, hurray! Before starting to rub your hands together and make plans about all of the money you’re going to save on taxes, however, we need to worn you that there’s a twist (isn’t there always a one?). The gambling losses are deductible but to the extent of your winning. Yep, it does sound a bit confusing. Maybe breaking it down and examining the details will shed some light on what has to happen for your gambling losses to actually lower your taxes and make you one happy camper. As already mentioned, these taxation benefits apply to residents of the UK. It’s nothing but logical that gambling winning will be added to your taxable income. When it comes to deducing losses from your taxes, things get to be a bit more complicated than that. The first and the most important rule for monetizing your gambling losses is keep accurate track of all activities. The activities that fall under such regulations include playing casino games, lotteries, raffles and other types of gambling games. You may want to keep receipts for the fun and exciting time of the year known as tax season. Anyone who has acquired gambling income during the year will have to fill out a gambling winnings form alongside the official tax statement. This form will also have to be filled out in the case that non-cash awards have been acquired (real estate, cars, appliances, etc). You’ll need to list the fair market value (FMV) of the item – this is the selling price of each item. Finding the selling price could be a bit of a challenge, so you may want to consult a professional about listing your winnings. But enough about the lucky people who’ve gotten money, cars and boats. This article is dedicated to the losers. As it stands, chances are that it addresses the vast majority of lottery players. Oh well, it wouldn’t be as fun if it were easy, wouldn’t it? Now, here’s the tricky part – you can deduct your losses as an itemized deduction. You can’t take the amount you’ve lost out of the amount you’ve won and report the difference as your income. If it worked that way, chances are that many people wouldn’t owe the government any taxes at all. Also, keep in mind that gambling losses can’t be reported over the amount of your gambling winnings. If you’ve won 1,500 pounds during the year, for example, your gambling losses reported as an itemized deduction can’t exceed 1,500 pounds. Told you it was a bit tricky! Since going through the documents and filling all of that information correctly may be a bit challenging, it’s always a good idea to have a professional do the job for you. Certainly, you’ll have to pay for the service but it can save you a lot of money that you’ll otherwise have to spend in taxes due to the fact that you didn’t make the right calculations. Gambling Losses Tax Claims in the US? So, how about doing what UK folks can do in the US? Is it possible to deduce gambling losses from taxation? Here’s what IRS has to say about the topic. Just like in the case of being a lucky winner in the Kingdom, you’ll have to include your gambling winnings in your taxable income amount. According to the IRS website, raffle, lottery, horserace and casino winnings will all be subjected to taxes. Gambling losses can be claimed but once again – only to the amount of the winnings. Just like in the UK, you can’t take the loss out of the amount you’ve won and declare only that amount as a taxable income. To deduct gambling losses, you should have kept all the receipts, the losing tickets, statements and any other documents that prove the amount you’ve spent on gambling activities and the amount you’ve lost. If you need any additional information about the proof you should have or the procedure enabling you to deduct gambling losses from your taxes, you can call 800-TAX-FORM (800-829-3676). By this point, you may be thinking that we’re nuts. After all, lotteries are cash businesses and a governmental entity like the IRS in the US will have no way of knowing just how much you’ve won and lost during the year. Is there any point of declaring winnings and losses whatsoever? Isn’t it better to keep it quiet and avoid taxation? Gambling establishments in the US and the UK are expected to provide governmental agencies information about winnings that exceed a certain amount. In the US, this amount is 1,200 dollars for casino wins and 1,500 for lottery wins. If this income isn’t listed on the tax return, chances are that you’re going to get in trouble. Still, if you’re an avid lottery fan, chances are that you have at least some losses that will counterbalance the taxable income and decrease the amount of money you’ll have to give the state. Once again, we’ll encourage you strongly to find a taxation expert that specializes in gambling losses and winnings before filling out those forms. A small mistake could get you in trouble! And a final thing – if you’re a classified as a professional gambler, the rules will be different for you. Only a few individuals will qualify as professional gamblers and these individuals are usually subjected to more lenient taxation procedures. Bummer! I Need Help Before It’s Too Late! Feeling Foolish, But I’m Addicted to the Lottery!